Explicit W.A.G. 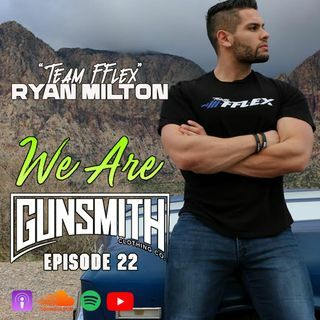 Episode 22: Ryan Milton "Team FFlex"
The hiatus is OVER! James returns from the 2018 Olympia out in Las Vegas to talk with Prep Coach & Online Fitness Trainer Ryan Milton, owner of Team FFlex. The two discuss the future of brick & mortar personal training, taking the leap into accomplishing your dreams, why big changes are sometimes the worst ideas, daily tips to be better, and much more! If you're struggling with motivation, not sure what steps to take to accomplish your goals, or have ever hired an online trainer ... See More then you NEED to check this out! Make sure to leave a review and tell a friend!